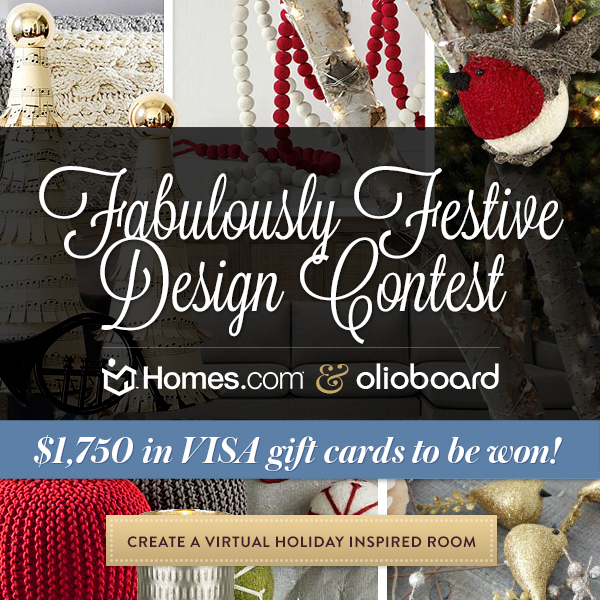 This month Homes.com has partnered with Olioboard to create the Fabulously Festive Design Contest. 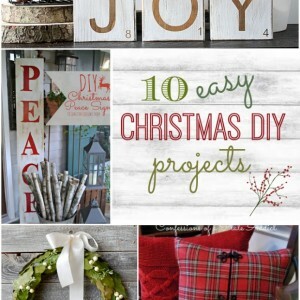 Bloggers were asked to create a few holiday DIY projects that contestants can use in their virtual room boards. There are $1750 up for grabs for the best design board and you still have time to enter! All you have to do is create a holiday-inspired virtual room using at least one image from the Homes.com holiday set in your room design. You can also view all of the gorgeous virtual designs here and vote for your favorites. I created two projects for the contest. 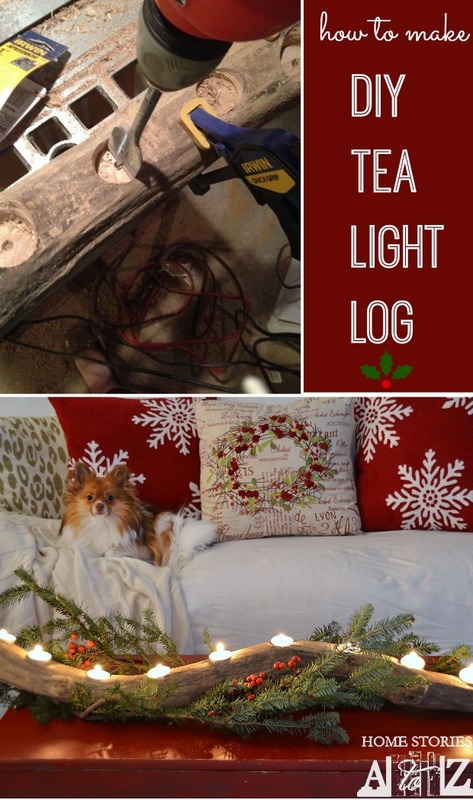 The first item was a DIY Tea Light Log which is so easy to make! 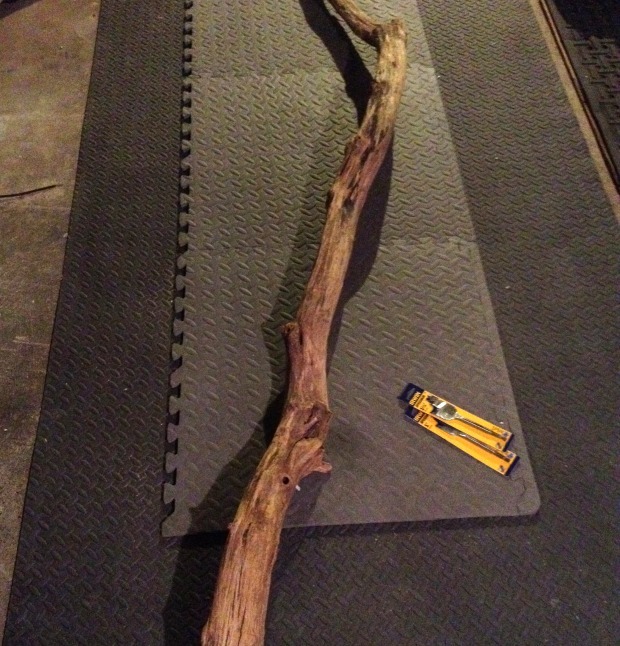 If you have access to an old dried out log and a drill, then you can make this project in less than 10 minutes! I found this great piece of wood down by the river and have held onto it for over a year knowing I could create something fun with it. 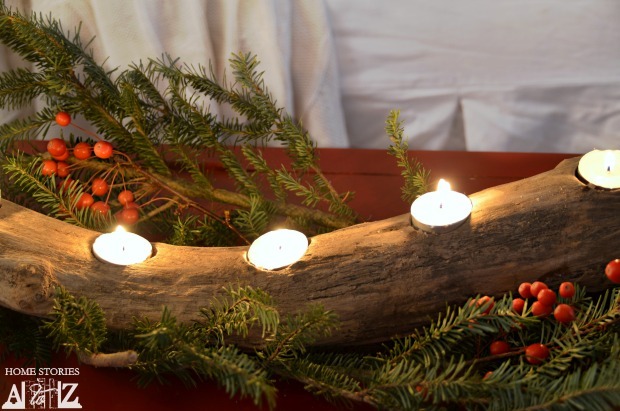 If real flames next to dried out wood makes you a bit nervous, this tea-light log will work with LED candles as well. It makes a great focal point when displayed on your hutch, mantel, coffee table, or dining room table. 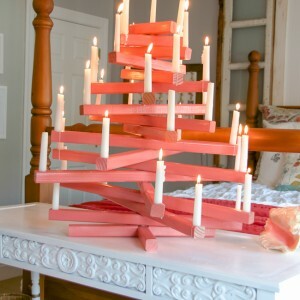 For the full step-by-step tutorial, hop on over to Homes.com to learn how to create your own. 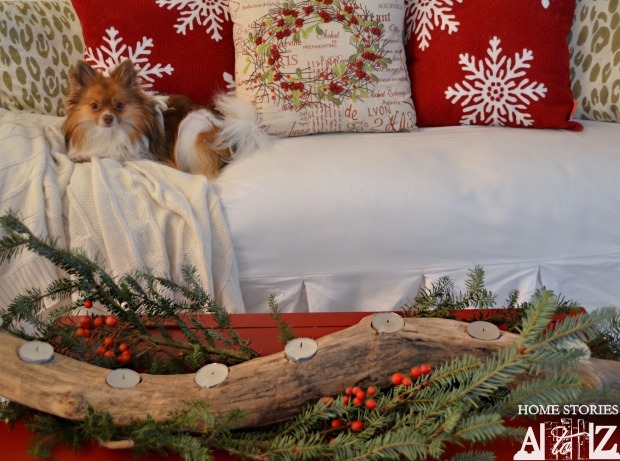 I hope you feel inspired to create a festive DIY piece for your home this holiday season and make a few memories in the process. You can share your DIY project and home moments with Homes.com on Facebook, Twitter, and Instagram and be sure to use the hashtag: #HomeMoments! Beth, what a fabulous idea! Great job. I think I’ll try this sometime this week! I Love it! Its very pretty! I love it! I love the shape of the wood, how it curves. Awesome!